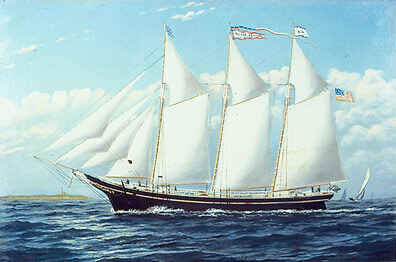 Senator Weber was built in Boston in 1853 as the ship Wellfleet. 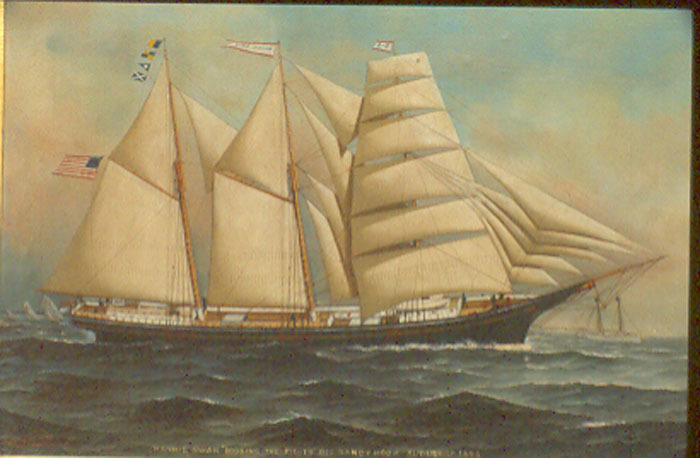 She sailed for Enoch Train’s Boston Liverpool Line of packets in 1854, then transferred to the Regular Line, sailing in the Boston-New Orleans cotton packet trade. 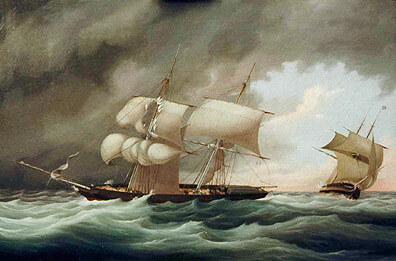 The Civil War idled ships like the Wellfleet, and she was sold to Hamburg, Germany in 1863. There she was renamed Senator Weber and flew the flag of Hamburg. This painting was done when she was still the Wellfleet. It descended in the family of the American captain, Henry S.
The Endymion was a 40-gun British frigate of 1277 tons and 159 feet in length. She had a crew of 320 men when launched on the Thames in 1797. The President was a 44-gun American frigate built in New York City in 1800. This vessel fired the first shot of the war (of 1812) during a skirmish with the British frigate Belvidera on the evening of June 23, 1812. Even though much of the wealth of Bristol and Liverpool merchants came from the slave trade, in 1807 the British Parliament outlawed it. This was at the height of the Napoleonic war, two years after Trafalgar. The Royal Navy was fully committed against the French. 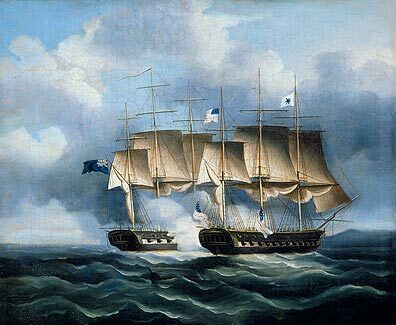 The Admiralty sent two warships to West Africa on anti-slavery patrol despite the fact that the war with France and then the United States demanded most of the Navy’s ships. This must have been an interesting day. Captain Higgins of the barkentine Mannie Swan had years of experience sailing from New York, his home port. He wanted to save a little money by not using a pilot. There are three pilot boats trying to get close to the Swan. Higgins is passing the Scotland lightship off Sandy Hook marking the shoal named for the 1866 wreck of the steamer Scotland. Built in 1854 for C.H. Marshall and Company, by then the owners and operators of New York's famous Black Ball packet line, by William H. Webb, New York's premier ship builder. It is possible that Antonio Jacobsen saw her for she ran for C.H. 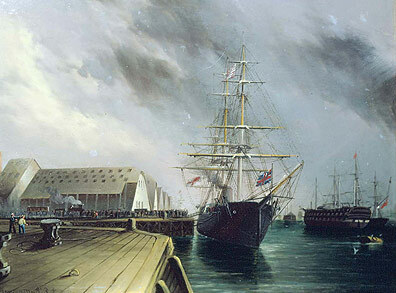 Marshall until 1881, surviving on what the steamships which had largely taken over the passenger trade could not carry. 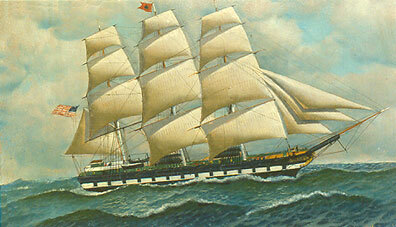 She was sold to Bremen in 1881 and continued until about 1890. If Jacobsen did not see her and sketch her himself, he may have had access to photographs of the ship, or other data. 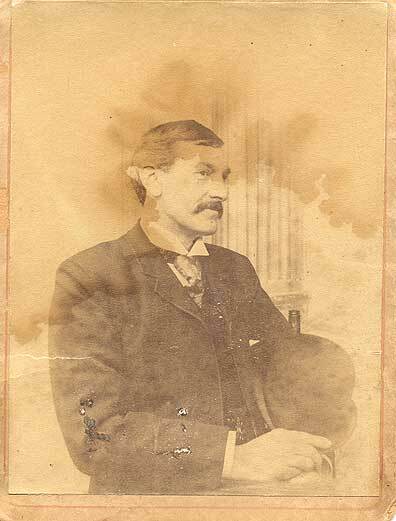 Read more about Packet James Foster, Jr.
William H. Yorke (1847-1921) William Yorke, the younger, was born in St. John, New Brunswick, then moved to Liverpool as a young boy when his father moved there around 1855. Presumably his father, William G., taught him to paint, and there is much stylistic similarity. The 1871 Liverpool census lists William H. Yorke as a marine painter, and his mother Susan Yorke as the head of the household, since William G. Yorke had moved to New York. 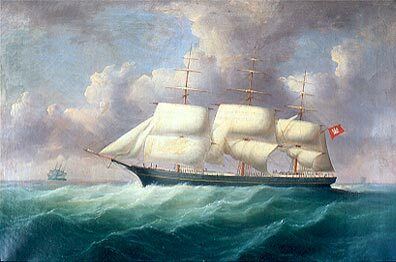 It seems that the father (William G.) had moved to New York where he worked as a ship portrait painter until around 1888. 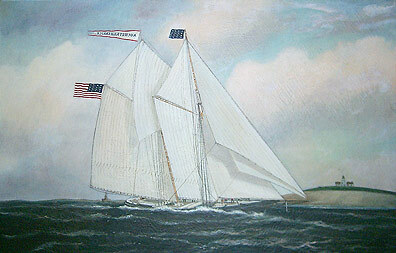 William H.
Launched in Newburyport, Massachusetts in 1883 by George E. Currier, for local owners. 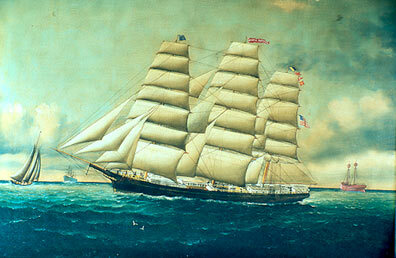 Said to have been the last full-rigged ship built in Massachusetts. Registered to Pendleton, Carver & Nichols of Searsport in 1895, and sailed by Searsport masters until eventually sold into the salmon trade; disappeared from the register in 1907.